5 Presents - Vellum/Pink. 2 x 2.4 cm. 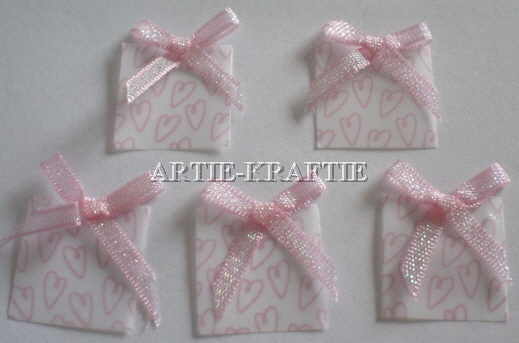 5 Pretty Present embellishments ideal for cards or crafting.